Port Clyde, Maine – Cushman Creative, a design agency specializing in biomedical and life science marketing, was honored with a 2018 Platinum Hermes Creative Award for the infographics featured in its Kelp-Beds blog. This platinum award is the organization’s top honor. The agency also received an honorable mention for its logo identity work for the Maine Coast Fisherman’s Association. 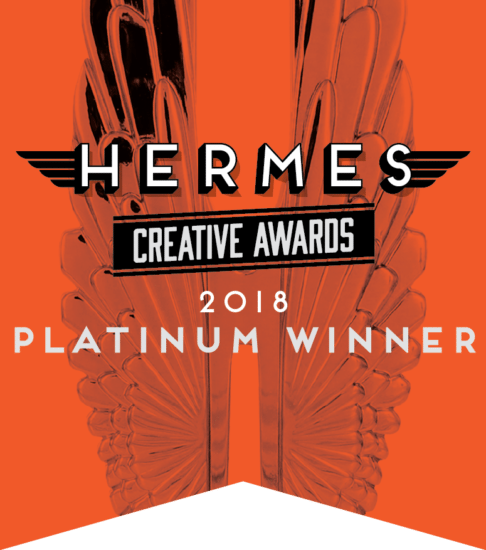 The 2018 Hermes awards continue a tradition of international recognition for the agency’s design and marketing work. Hermes Creative Awards is an international competition for creative professionals involved in the concept, writing and design of traditional and emerging media, and is judged by The Association of Marketing and Communication Professionals. Other top winners this year include Aetna, Allstate Insurance, the Associated Press, Citi, Disney, Fast Company, Johns Hopkins HealthCare, United Healthcare and UPS. 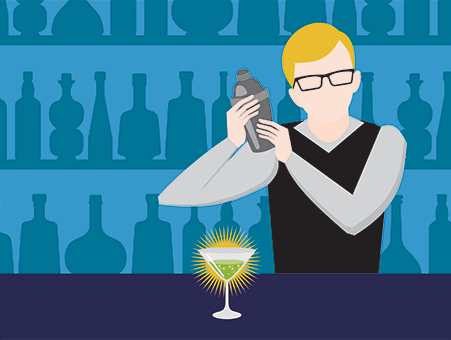 This graphic introduces a post about how to find the right marketing mix. Unlike many industry blogs, Kelp-Beds was created to be an educational resource rather than a marketing channel. The objective was not to generate sales, but to cultivate a strong reputation. As part of this effort, the Cushman Creative team made a conscious decision in 2015 to stop using stock images in favor of custom visual content. “After we published a compelling post on the power of infographics, it seemed rather obvious: ‘Why aren’t we designing infographics for ourselves, not just our clients?’” Cushman recalls. The second award, an honorable mention for the Maine Coast Fishermen’s Association (MCFA) identity, is one the agency holds close. MCFA is a non-profit organization led by Maine’s community fishermen who are committed to creating a sustainable fishing future. Cushman is a member of a five-generation family of Maine fishermen so her commitment to see Maine fisheries remain vibrant runs deep. The logo is a symbol of both the strong independence of Maine fishermen and their united heritage they work so hard to protect. The tagline “Together, we persevere” couldn’t be more perfect. Brand identity for Maine Coast Fishermen’s Association included messaging strategy, logo, tagline, logo, business system, apparel, web and brochure. “Cushman Creative crafted a brand and logo that told the story of our organization. As we were working to expand and professionalize the Maine Coast Fishermen’s Association, we wanted to show how our organization connected fishermen, communities, and marine resources together and that only together could we achieve our goal of healthy marine resources and vibrant fishing communities. We are extremely proud of our logo and branding and are thrilled by Cushman Creative receiving this recognition for their work with Maine’s fishermen,” says Ben Marten, Executive Director, Maine Coast Fishermen’s Association. Founded in 2007, Cushman Creative is a health science branding and marketing firm. To see more work and learn about the firm and its services visit cushmancreative.com. Get fresh marketing insights direct to your email. We promise not to share your information. Kelp-Beds is a marketing resource exclusively for biomedical and life science organizations. Named for one of the most dynamic and productive ecosystems on earth, Kelp-Beds was created in 2011 to help health discovery brands thrive. 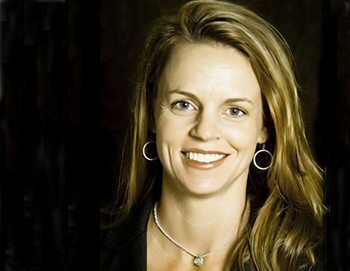 Here, you’ll find marketing insights from Karan Cushman, CEO of Cushman Creative, and other experts with an intimate knowledge of what’s working today in the biomedical and life science industries. Have a marketing issue you are wrestling with? Sometimes an outside perspective can help. Simply sign up below and we’ll contact you to set up a time to speak. What specific challenges would you like to discuss? We help biomedical, life science and emerging pharmaceutical brands communicate their value and advance human health. Get fresh marketing insights direct to your email.